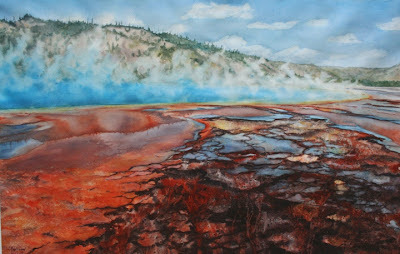 I have been wanting to paint scenes from Yellowstone National Park for years. It has been difficult to do since I live in the Pacific Northwest and teach classes on how to paint the beautiful landscape here. As much as I love this area, I also love Yellowstone. It is not only close to where my family resides but it is where we often holiday. It is such a grand and epic place. 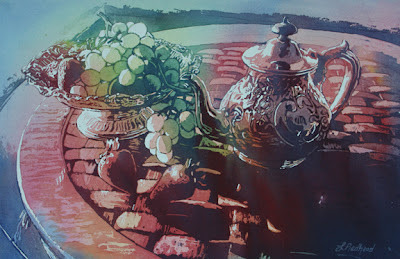 It also has a wonderful history with watercolor. It was Thomas Moran's watercolor sketches and paintings that helped convince congress to make it the first National Park in the world. This past summer while I was in school, I continued to explore my passion to paint portraits and landscapes. 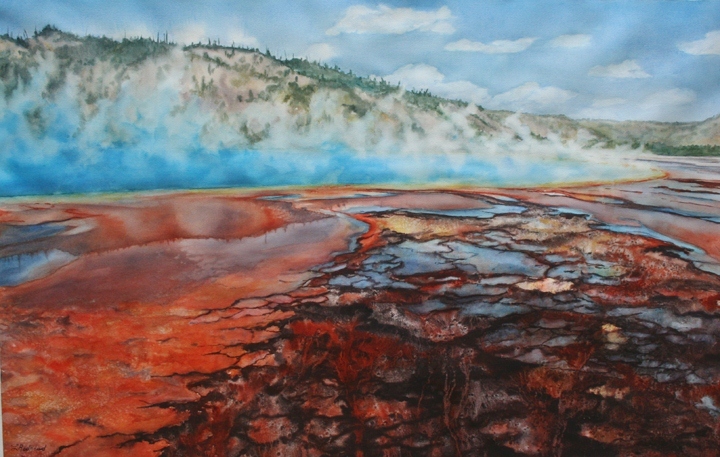 I gave myself permission to finally paint Yellowstone. I am teaching a workshop on watercolor florals in Vancouver at the Kerrisdale Community Centre on Sept 22-23. It is called Dynamic Florals in Watercolor. 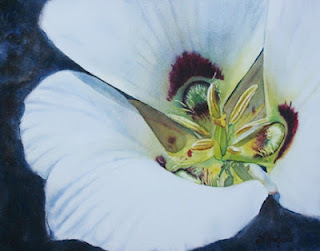 Sego Lily is will be one of the paintings that I will be demonstrating for this class. I love white flowers and want to show how to paint one in this workshop. The painting is actually on watercolor paper that has been stretched over stretcher bars then is varnished with an acrylic medium. I will have these watercolor canvases available for purchase at the workshop for $15 if you want to give them a try. You are welcome to use unstretched paper as well. A couple of weeks ago I did a poured watercolor demonstration at Opus Art Supplies. I usually do urban landscapes but have recently wanted to try to do more still lifes with this technique. Tea Time is the result of the demonstration. Here is a sneak peak at what I will be teaching at April Point Resort on Quadra Island next week. I love seals and decided that I must paint one. There are a few spaces left in this workshop if you want to come learn how to paint this beautiful creature. The price is $199/person for a 2 night stay and includes instruction. Hope you are able to join me! This is another image that I created in my Digital Arts class. The wings are from one of my illustrations of fairies that I created last year. 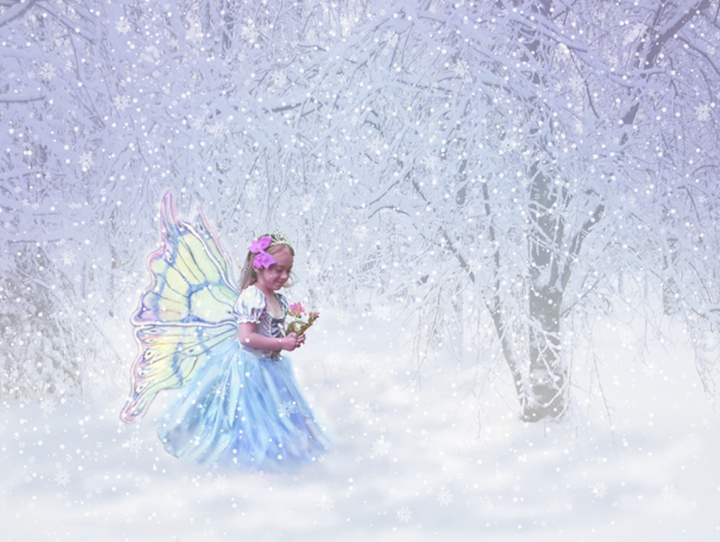 Then I added them to a couple of my photographs of a friend's daughter to create this beautiful little snow fairy. This image can be purchased as a print through Fine Art America.